I loved this book — one of the first to delve into the psychology of serial killers and behavioral profiling. Buffalo Bill is a psychopath who is murdering women. 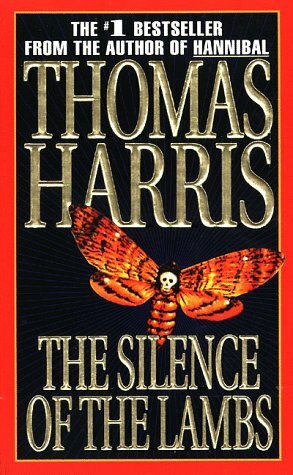 The FBI sends young Agent Clarice Starling to interview Dr. Hannibal Lector, a brilliant psychiatrist who is incarcerated and just happens to be a cannibalistic, murdering psychopath himself. I love this quote from the book: “I ate his liver with some fava beans and a nice chianti.” The FBI believes Lector might open up to Clarice and provide insight as to how to capture Buffalo Bill. Lector agrees to cooperate, but only if Clarice shares intimate details of her own life. She does, reluctantly, forcing her to face the tragedy of her past. The two develop a rapport and Lector provides Clarice with invaluable clues. She uses this knowledge to help stop Buffalo Bill in a sequence of events which prove absolutely terrifying, even as Dr. Lector manages to escape.